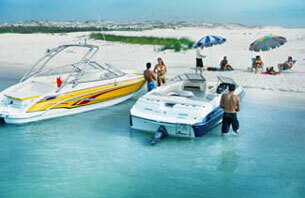 The diesel Aquamatic range is from 140 to 370 hp, giving sport performance to boats from 17 to 45 feet. 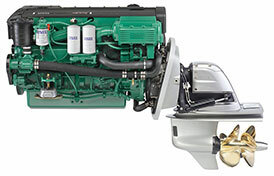 Complete packages with common-rail diesels, matched drive and propellers, and electronic controls as standard on all models. The new generation of D3 comes with increased performance and lower emissions than ever. Sport performance from a completely new in-line, 5-cylinder, common-rail diesel with up to 220 hp. Robust design and electronic controls as standard. Complies with the World's most stringent emission demands. Compact and light - only 363 kg complete with DPS drive. A compact, compressor and turbo-charged, 3.7-liter, common-rail diesel with 225, s60 or 300 hp. Comparable to V8 big-block gasolines in performance and size - at about half the fuel consumption. 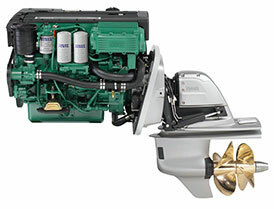 Enhanced onboard comfort thanks to integrated balance shafts and fully optimized engine mounts. 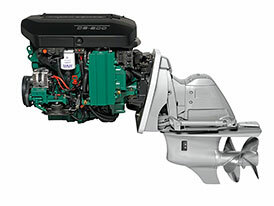 The D6 with its 330 or 370 hp has opened up Duoprop benefits for boats up to +45 feet. Common rail, 6 cylinders, in-line, 5.5 liter displacement, mechanical compressor on the 370 version.